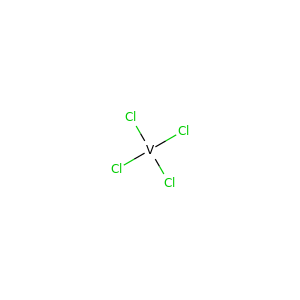 Aluminium chloride (AlCl3) is the main compound of aluminium and chlorine. It is white, but samples are often contaminated with iron(III) chloride, giving it a yellow color. The solid has a low melting and boiling point. Calcium chloride is an inorganic compound, a salt with the chemical formula CaCl2. It is a colorless crystalline solid at room temperature, highly soluble in water. 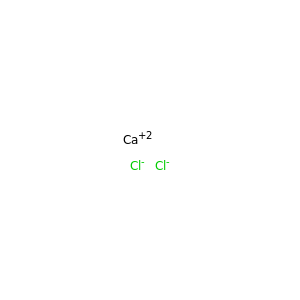 Calcium chloride is commonly encountered as a hydrated solid with generic formula CaCl2(H2O)x, where x = 0, 1, 2, 4, and 6. Zinc chloride is the name of chemical compounds with the formula ZnCl2 and its hydrates. Zinc chlorides, of which nine crystalline forms are known, are colorless or white, and are highly soluble in water. ZnCl2 itself is hygroscopic and even deliquescent. Barium chloride is the inorganic compound with the formula BaCl2. It is one of the most common water-soluble salts of barium. Like other barium salts, it is toxic and imparts a yellow-green coloration to a flame. Mercury(II) chloride or mercuric chloride (archaically, corrosive sublimate) is the chemical compound of mercury and chlorine with the formula HgCl2. This white crystalline solid is a laboratory reagent and a molecular compound. Once used as a treatment for syphilis, it is no longer used for medicinal purposes because of mercury toxicity and the availability of superior treatments. Uranium hexafluoride (UF6), referred to as "hex" in the nuclear industry, is a compound used in the uranium enrichment process that produces fuel for nuclear reactors and nuclear weapons. It forms solid grey crystals at standard temperature and pressure, is highly toxic, reacts with water and is corrosive to most metals. 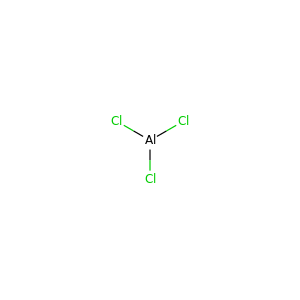 It reacts mildly with aluminium, forming a thin surface layer of AlF3 that resists further reaction. 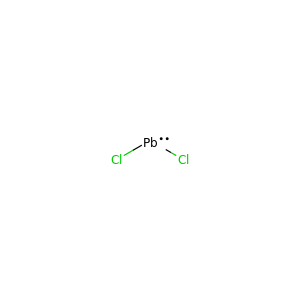 Beryllium chloride is an inorganic compound with the formula BeCl2. It is a colourless, hygroscopic solid that dissolves well in many polar solvents. Its properties are similar to those of aluminium chloride, due to beryllium's diagonal relationship with aluminium. Lithium chloride is a chemical compound with the formula LiCl. The salt is a typical ionic compound, although the small size of the Li+ ion gives rise to properties not seen for other alkali metal chlorides, such as extraordinary solubility in polar solvents (83.05 g/100 mL of water at 20 °C) and its hygroscopic properties. Nickel(II) chloride (or just nickel chloride), is the chemical compound NiCl2. The anhydrous salt is yellow, but the more familiar hydrate NiCl2·6H2O is green. Nickel(II) chloride, in various forms, is the most important source of nickel for chemical synthesis. Iron(II) chloride, also known as ferrous chloride, is the chemical compound of formula FeCl2. It is a paramagnetic solid with a high melting point. The compound is white, but typical samples are often off-white. 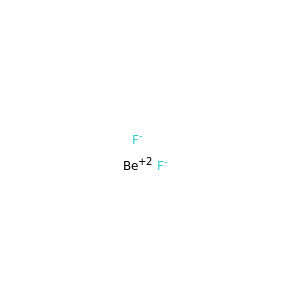 Iron(III) chloride, also called ferric chloride, is an industrial scale commodity chemical compound, with the formula FeCl3 and with iron in the +3 oxidation state. The colour of iron(III) chloride crystals depends on the viewing angle: by reflected light the crystals appear dark green, but by transmitted light they appear purple-red. Anhydrous iron(III) chloride is deliquescent, forming hydrated hydrogen chloride mists in moist air. 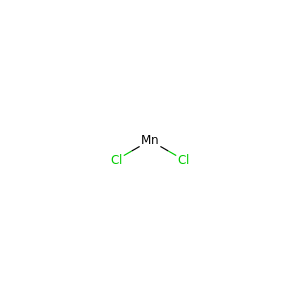 Manganese(II) chloride describes a series of compounds with the formula MnCl2(H2O)x, where the value of x can be 0, 2, or 4. The tetrahydrate is the most common form of "manganese(II) chloride" and is the tetrahydrate with the formula MnCl2·4H2O. The anhydrous form and a dihydrate MnCl2·2H2O are also known. Vanadium tetrachloride is the inorganic compound with the formula VCl4. This bright red liquid serves as a useful reagent for the preparation of other vanadium compounds.